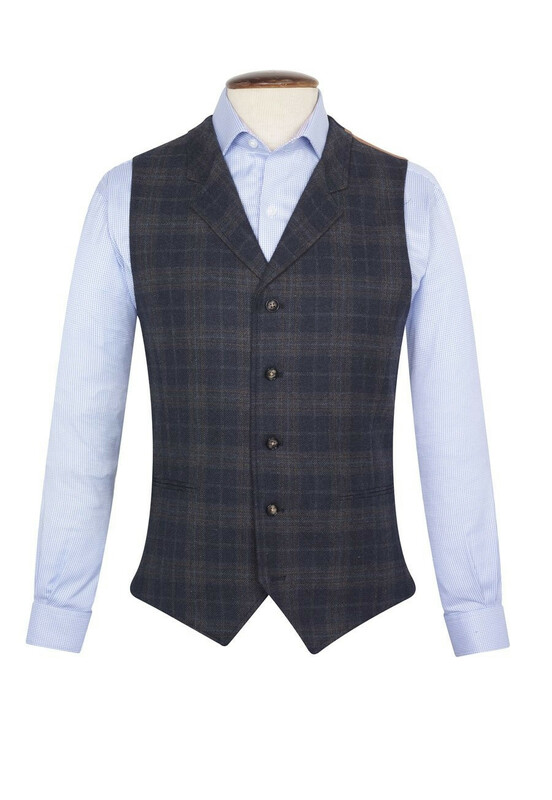 Cut a dash in this fashion-fit jacket and waistcoat combo, in blue with grey and ginger check. 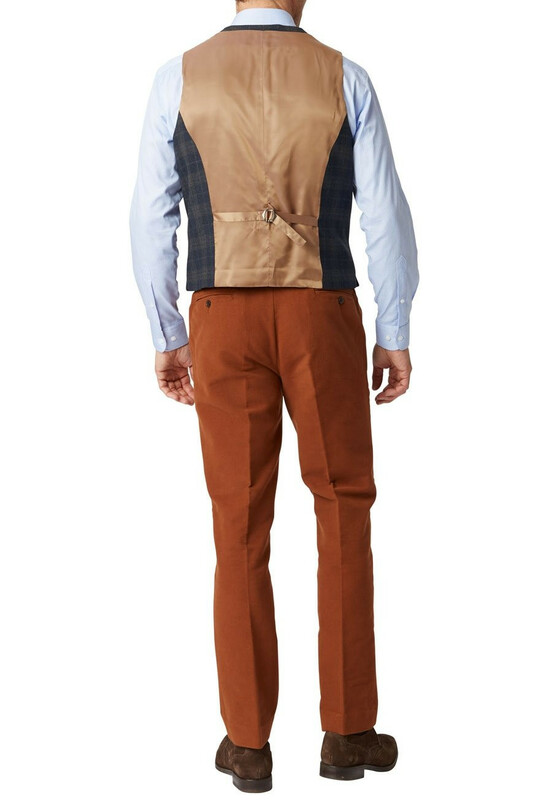 Waistcoat: Five button, single breasted. Straight pockets. Side vents. Adjustable back strap. Dry clean only.